A Sunday flight from Los Angeles to Fort Lauderdale was forced to land in Houston when a customer began swinging at passengers. 86-years-old and partially-blind, the disruptive man aboard Spirit Airlines Flight 310 spoke only French and was traveling alone, said police spokesman Kese Smith. Smith said the man had become frightened. Authorities found an interpreter and contacted the man's son, who flew to Houston and accompanied his father to Florida. Officials did not identify the men by name. Passengers aboard Flight 310 were re-assigned to new flights that day. 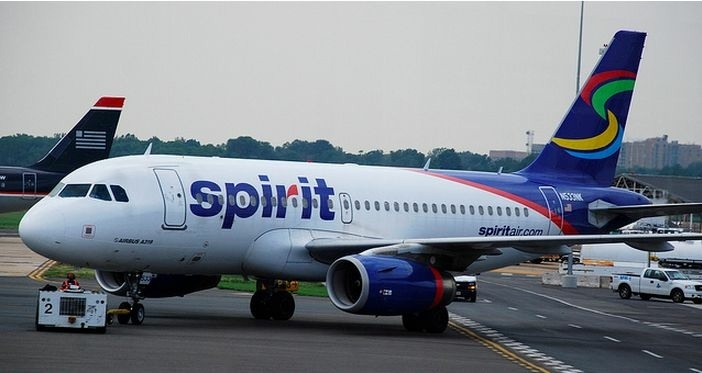 They will be refunded for the inconvenience, according to Spirit spokeswoman Misty Pinson. The unexpected detour occured just days after Spirit announced expanded service to Houston beginning in September.